The countries of the Congo Basin are known for their extraordinary wealth of biodiversity and cultural diversity of their peoples. And in relation to the extractive resources in the region, what first comes to mind are the impressive copper deposits in the Democratic Republic of Congo (DRC), the diamonds of the Central African Republic and the oil in Equatorial Guinea and Gabon. 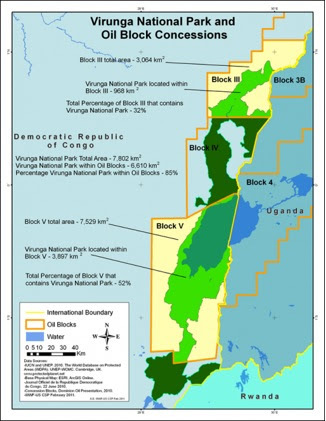 However, the ground beneath this important forest range is full of rich deposits of a wide range of minerals, including world-class deposits (especially iron, uranium, bauxite, etc.). And the potential is even greater than existing data suggests, as mining research was interrupted in these countries, either as a result of structural adjustment or political instability.Rising prices for minerals are making it potentially profitable to exploit deposits that were not profitable before and political decision-makers generally welcome the discovery of new deposits in their territory as good news. The objective of this article is to explain the reasons for the failure of these investments from a social and environmental perspective by illustrating some of the problems that arise in the extractive industries sector in Central Africa. 1. Why do environmental and social concerns seem secondary in the extractive industries sector in Central Africa? Inspired by the examples of the new economies of Southeast Asia (China, India, South Korea, etc.) and Latin America (Argentina and Brazil), all countries in the region want to become emerging economies in the span of a generation. The exploitation of natural resources is part of the development strategy and to achieve it, foreign investment seems inevitable. Legislation of the extractive sector is extremely liberal in those countries, imposing few environmental or social constraints in order to attract investors. Economic considerations thus clearly take precedence over the environment and governments do not hesitate to cast aside environmental considerations as an obstacle that the West wants to impose to restrict their quest for development. There is thus not a single extractive industry project in the Congo Basin that has been rejected by the State on the grounds of significant environmental impact. However, there is no shortage of risks, or violations of the law. For instance, the oil exploration project in Virunga National Park in the DRC, one of the oldest protected areas in the region, was not stopped by the Congolese State, which seemed to have no objection to development inside the Park. The project was stopped thanks to international campaigns which forced the British company Soco to finally give up. Rural communities in Central Africa depend heavily on natural resources for their livelihoods. Extractive industry projects are often developed in rural areas, and should coexist with the population. While regulation pertaining to environmental management requires that a social impact assessment be carried out before any resource extraction project commences, on the ground, companies care little to identify and protect the rights of communities in their operations, and the state itself does not seem to be concerned about these issues, either. Consequently, there are many risks and conflicts linked to resource extraction and prospecting sites. The main cause of conflicts is around compensation communities are due for the destruction of their property. In all the Congo Basin countries, compensation is due only for crops, homes and other assets resulting from human activities on the land. There is also no right to compensation when natural resources the community used are destroyed. Intangible resources (cultural goods, sacred places, etc.) are also not subject to compensation. Therefore, the payment does not allow communities to keep at least the same standard of living they had before the damage caused by extractive projects. In addition, compensation payments are also often subject to extortion by local officials; thus, communities that are due this compensation for loss and damages, do not even receive the full amount of the compensation payment, which was insufficient to start with. Often, the arrival of mining projects in the territories of community also causes profound changes in the lives of the population. Ebome is such an example. In the previously prosperous fishing village situated a few kilometers from Kribi on Cameroon’s Atlantic coast, living conditions changed dramatically when the construction of an oil pipeline destroyed a rich fish reef located two kilometers away from the coast. The destruction of the reef forced fishing to move more than eight kilometers off the coast. As this increased the cost of production, fisherfolk became less competitive compared to those of neighboring communities and found themselves in a precarious situation. It’s been almost fifteen years; the oil flows through the pipeline, the company pockets substantial profits, but the local economy is destroyed, and neither the State nor the company interested in finding a long-term solution. The destruction of communities’ livelihoods is thus the main risk associated with the development of projects for resource extraction in the region (1). One of the instruments for forest management across the Congo Basin was forest planning. It was meant to organize in a rational way the land between protected areas, multi-purpose areas and areas designated for large-scale timber extraction. And inside of these areas, the forestry administration is responsible for ensuring that the planned activities will not result in irreversible damage to biodiversity. The development of the extractive industries sector collides with this tool, and there are several areas where forest will be cleared without consideration of forest planning requirements. One study estimated that in 2012 there were up to 50 cases in Cameroon where forestry concessions and mining permits overlap. This overlap could lead to forests being cleared where such clearing is not included in forest management plans. Moreover, where these mining activities take place in already existing concessions, they violate rules and agreements already in place, thereby destroying the small gains made over two decades in improving forest management in the region. Protected areas are not immune to these impacts, and the same study found that in the case of Cameroon, 28 oil exploration and mining licenses had been awarded in 15 different protected areas. (2). 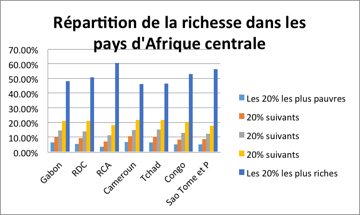 The table below shows the overlap in southern Cameroon. (protected areas and forest concessions) in southern Cameroon. Because the resource extraction projects arrive in an environment where there are already logging concessions, plantations and other uses of the land and resources, the environmental impacts they cause that superimposed on existing ones. And in a context where impact assessments are carried out project by project because strategic and regional impact studies are not required, any new project may be the one that leads to cumulative impacts doing irreversible damage. As extractive projects are set out in an environment where there are already forest concessions, plantations and other uses of space and resources, more environmental impacts are created in addition to the existing ones. And because impact studies are carried out by project because they are not expected to be strategic and with a regional scope, any new project may cause cumulative impacts move from acceptable to irreversible.4 What did we learn from this? Environmental risks are great, as is the ability of these projects to destroy the livelihoods of riparian communities. States do not have human resources and a legal framework capable of managing and effectively control the activities of multinationals. There is no case that states are eager to develop the exploitation of their extractive resources in the absence of device that can ensure profitability for the State, and safety for the environment and populations. The resources of the subsoil are not perishable, and will only appreciate in value over time. The main lesson is that, in Central African countries, it’s the communities who pay the highest price for the exploitation of natural resources, especially when it comes to mining activities. These same communities are, however, excluded from the benefits of such activities. The risks to the environment are big, as is the ability of these projects to destroy the livelihoods of communities in riparian areas. Also, in these countries, the State does not have the human resources nor the legal framework capable of managing and effectively controlling the activities of the multinational companies. There is therefore no justification for these states rushing to expand the exploitation of extractive resources in the absence of a framework that can ensure such activities are profitable for the State and safe for the people and the environment. These underground resources are not perishable, and will only appreciate in value over time..
Centre pour l’Environnement et le Développement (CED), Yaundé, Camerún. (2) See Schwartz, Hoyle and Nguiffo, Tendances émergentes dans les conflits liés à l’utilisation des terres au Cameroun, Yaoundé, WWF, CED, RELUFA, 2012.